Images – Smoking Ladies! – For Demonstration Purposes Only! On 25 Aug 2014 22:10, a good reliable friend (source) sent me this email – about her experiences with some Foreign Arab (Levant) Ladies. Will reproduce verbatim as is self explanatory! After what had happened to me today I immediately thought of sharing this with you – it might not be the kind of story you want to write in your news forum – please do write it for the sake of omani women. It all started when I took my kids for swimming in Al Khalili swimming in Al khuwair near the Egyptian school. As usual it was ladies time and the pool was filled with mums and kids – most of the kids were below 5 years of age. As soon as my girls were changed and in the pool – I took a chair to sit and observe them – then this terrible smell of cigarette started – and in the middle of all kids and other mums were these 4 (shami) ladies smoking. I approached them and politely requested if they want to smoke they should go outside the pool area – they ignored me – so again I explained its not allowed to smoke in such public area where small kids are exposed to smoking – I could not believe their own kids who are like 3 to 5 were just there playing and breathing all the smoke like its nothing. Ok – back to my story – the lady smoker just looked up at me and gave that look like nothing happened – I gave her an empty cup and told her in a firm tone – please put that cigarette out. the other shami lady was like its not your business so I lost it and took the cigarette from her mouth and threw down and stepped on it. then they all started attacking me – like smoking was a great thing – I could not believe it they all took cigarettes and I kept repeating its not allowed to smoke there are kids here and they were – this is our rights – so I said what right?? you have no right to smoke between all these small kids – all these other mums do not appreciate what you are doing – they were saying well if you don’t like our smoking then leave the pool!! Imagine then, she says if we were american you would not have said a thing – so i said if you were american you would have respect for other people – and she said listen – you omani women – you are not like us – we have rights – so I said what rights?? smoking rights? and she answered the moment your rights ends our rights begin. so I said Alhamdullilah I am Omani in Oman so my rights will not end for stupid women like you who fight for smoking like its a wonderful thing. Imagine they had hijabs on and they say – then let Oman ban the swimming costume if they can not allow women to smoke. so I said we respect that and that is why we have a women day. I told her off – Lady you may smoke to your death in your home surrounded by your kids but here in public place where there are other women and very small children you should not smoke and don lecture me about rights and i never heard of women rights to smoke maybe in Syria but not in Oman. and she started swearing on omani women – you omani women you have no thaqafa – thank god we dont have it – if it means we smoke in front of our kids. I have not seen such disrespectful women like shami women – they are rude and just because they do not have values in their country they do not respect other people’s values. Please majid if you ever get chance put this on your blog. 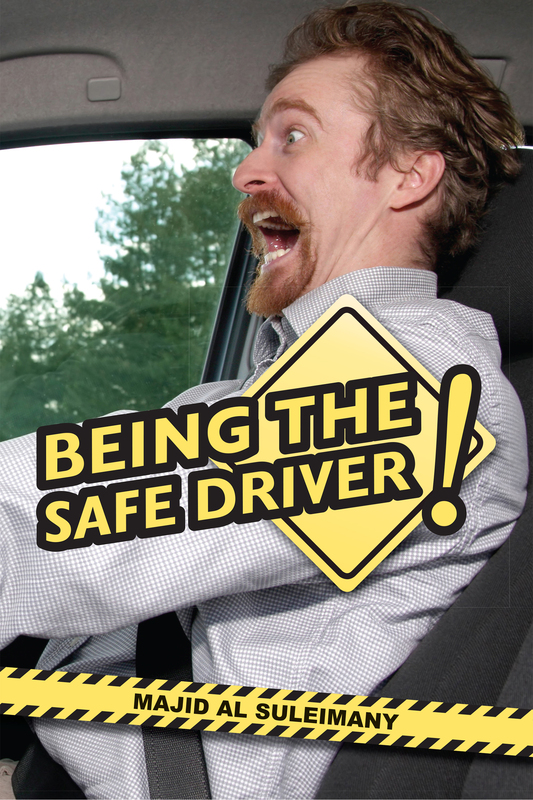 Behind The Wheel! Proof Prototype Review! Behind The Wheel! Arabic – Proof Prototype Review! With family members at Holy Month of Ramadhan Futur Breakfast yesterday Friday night July 11 2014! Please Support Us The Omani Authors and Writers! Communications received from Trafford Publishing USA that they are investing 50% for Strategic Marketing and Advertising of my Arab Management Book – A Cry For Help! – Context and Perspectives! 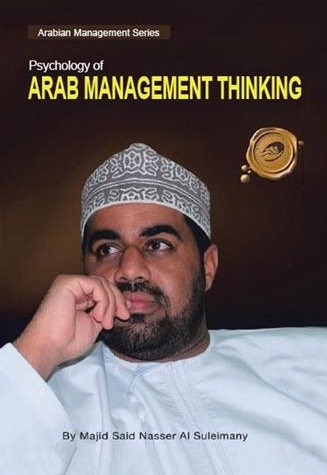 – Arabian Management Series by Majid Al Suleimany – published by USA Trafford Publishing! This is the confidence that they have on the book! As a special concession they have agreed that my 50% – USA Dollars 2700 can be split in 3 installments. As you all know I only live on my Pension Salary now! 😦 ! For The Banks and Financial Institutions etc. – the CSRs of Corporates – please note that not all things in life is Money and that there are National Worthwhile causes that may be too slow and even may not generate even any profit – but the cause is still worthy of mention, recognition, merit and award. I wrote an Appeal Letter to two high Prestigious Banks – and they just ignored me! One was an Islamic Bank!!! May Allah God Direct us all to the Right Path and Ways Amin – Amen – and Restore our Compassion, Imaan, Faith, Mercy, Kindness and Compassion AMEEN. Reactions Received – My Letter To The Newspaper! Fan (Omani) – I think your reaction to the newspaper was to the point. My only advice is that don’t allow the other party to get the best of you. Don’t sound emotional. Just give them your piece of mind and move on..
Lady Fan (Omani) – Well , its one’s duty to speak up when things don’t go well, if I were you I would have kept quiet cause its just like talking to a wall. Its not heard and nobody cares. Its just losing ur face over and over again and nobody cares. I will never agree with you the way you humiliate ur self. You are a talented man you deserve the best of the respect. Be calm Majid it won’t harm you and Allah sees everything. Be patient. If one door closes the other will open. Believe me. Fan (Omani) – Spot on. I think there is a lot of hypocrisy in our society. You call a spade a spade and that’s quite admirable. Very few people have the guts to go openly public in expressing a critical opinion. Did you get any response? Dear Mr Majid, We strongly support your endeavor. Remember, the best writers, noble people, celebrities, scientists, etc, were at first neglected by their own people; that is in West during the past centuries. But; today it all changed. So keep up, never give up, you’re a very great writer, never let any negative people or pessimistic people put you down, the most you succeed, the more their feel ashamed of their wrong acts. Finally, the Universe will respond to you abundantly. Keep up with those who are attracted by you, keep some distance to those who neglect you. Keep looking at your achievements most whenever you get upset of a specific incident. You’re great in the eyes of many who deserve to see your smiles. Cheers!!! Senior Omani Professional – I admire your guts and in your sincerity to want to make changes in things before they go really bad! Some others too ‘personal’ to include here – but equally good (or have requested anonymity) ! Missing ! Where are the Expatriate Fans? Abandoned Ship? N.B. If this is how a long time serving National Columnist of over 13 years and in a Public Newspaper is treated, the mind just boggles what happens elsewhere? You be The Judge!